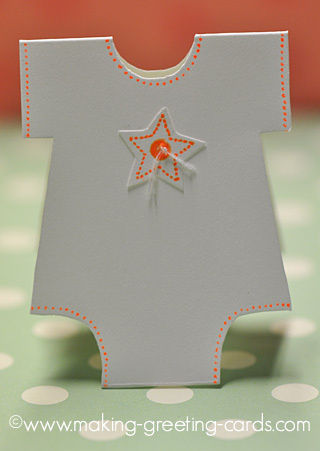 Tutorial for onesie baby cards with ideas and template. You don't need to calculate the measurement and spend time drawing and copying the pattern. Everything is done for you. 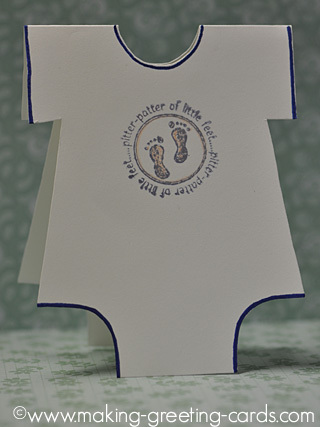 Just print the onesie template onto card stock and cut around the pattern. I have been thinking of making an oneise template for quite some time. Today, I decided to sit myself down at the computer and create one with a photo editing software. And this is the final result after several attempts. 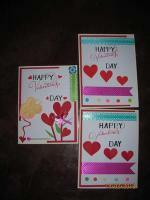 Hope that you will find it useful for your baby card-making. 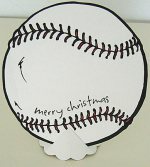 There are a big card pattern and also a few that you can cut out and use as gift cards in the template provided below. I hope you will find some time to make a few of these lovely onesie baby greeting cards too and give them way just for fun. Actually, I just look through my stamp collection for baby images and used the tiniest images for this project. For this twinkle twinkle little star, you could just draw in star lightly with pencil and then dot along the outline with an orange colour gel pen. Stamp a button or add a real button and sew and tie the thread. 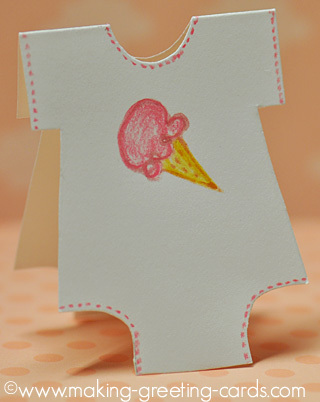 Here's a sweet Onesie card for a new born baby made by Heather for a friend - It's so sweet and pink and adorable. I love the ribbon trimming, buttons and those gems around the neck. Thank you, Heather, for sharing your creation with us. It's an inspiration! To view and print this pdf file, you'll need Adobe Reader. Click on link to download Adobe Reader if you don't have the latest version. Click to open the file. Template will open out in Adobe Reader. Print a copy of the template onto white copy paper. Cut out the onesie patterns from the white copy paper. 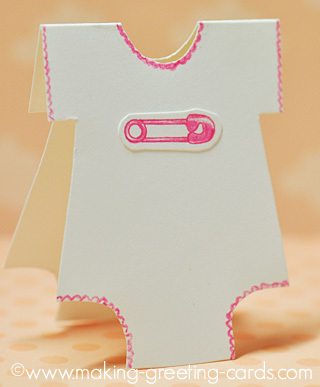 Place Onesie patter on folded cardstock. Trace around the outline with light pencil. Cut along traced pencil lines. 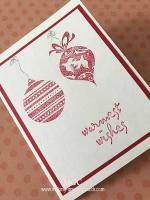 Stamp small images on same cardstock and color with color pencils or desired coloring media. 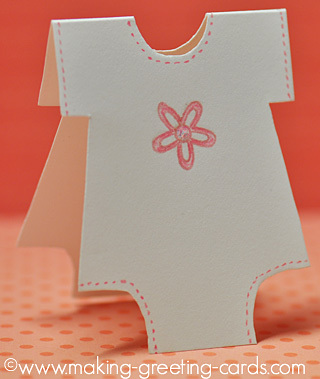 Trim and adhere to top front of folded Onesie baby greeting cards. You can use this template to make baby shower invitations. 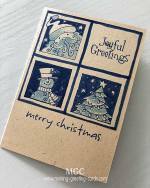 Just add the invitation details inside. Print the invite words on your computer, trim and paste inside these cards. Or just stamp, write or print the word "Congratulations!" inside. Here are some baby verses to choose from. And here are three baby shower invitations created in a hurry.